“A particular mention should be made at this point of the Solemnity of the Body and Blood of Christ as an act of public worship rendered to Christ present in the Eucharist, a feast instituted by my predecessor Urban IV in memory of the institution of this great Mystery” (#3). 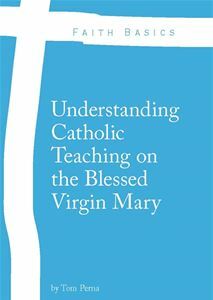 The teaching of the True Presence is a fundamental teaching of the Catholic Church. This day is a day where being Catholic is just awesome! It’s like Catholic Candy Land! If these three solemnities were horses in a horserace, I would use them in a Trifecta bet, because these three solemnities are like the Supernatural Trifecta. To learn more about what the Catholic Church teaches on the Holy Eucharist, please read my Quick Lessons from the Catechism post – The Sacrament of the Holy Eucharist. As we celebrate this great solemnity, let us remember how beautiful the gift of the Holy Eucharist is for the entire Church. I would encourage you to sign-up for weekly Perpetual Adoration at your parish. If your parish does not have it, then I would encourage you to seek out a parish near by and sign-up there.